Is the STRESS of day to day living/surviving weighing heavy on you? Are you just tired…..and feel like D$%@ can I get a break or better yet a BREAKTHROUGH? Are you contemplating doing ‘that thing’ you said you would never do again? When I started learning about the Chakra’s in the early 90’s… I’m dating myself, Haha!!!. it was fascinating and NOT popular. It was for the ‘weird, crazy, hippy people’ .Well I fit that bill even back then. Now it is the trend, my how things have changed. 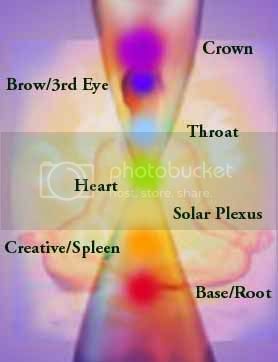 Whether you fit in Chakra 101 or Advance Chakra exposure, Join me on Saturday, October 25, 2014 at 111 North Wabash Suite 1322 ( The Garland Building), Chicago Illinois 4:00 pm to 5:30 pm donation of $12.97. Recognize that your chakras are not just those spinning wheels that pull in Universal energy force, but they are your allies to support you moving into the next phase of your life. They know what your next challenge will be and when you consult them, they can give you so much valuable information to help you shift out of a dormant cycle and into a vibrant thriving cycle. Each chakra is a center of spinning energy that supports the functioning of the body and pulls in Universal life force energy. Each energy center reflects a different aspect of your life and your consciousness. When these energy centers flow smoothly, you feel vital and healthy. When they’re blocked, you feel stressed and off balance. It is important to keep these energy centers clean and clear for optimal performance, lending to an efficient flow of life force energy through the body. Keeping your body and chakra system in balance can allow for a healthy body and will bring your life into harmony.